A client application would access a FHIR API through a REST API. You may also want to interact directly with the FHIR server as you build applications, for example, for debugging purposes. 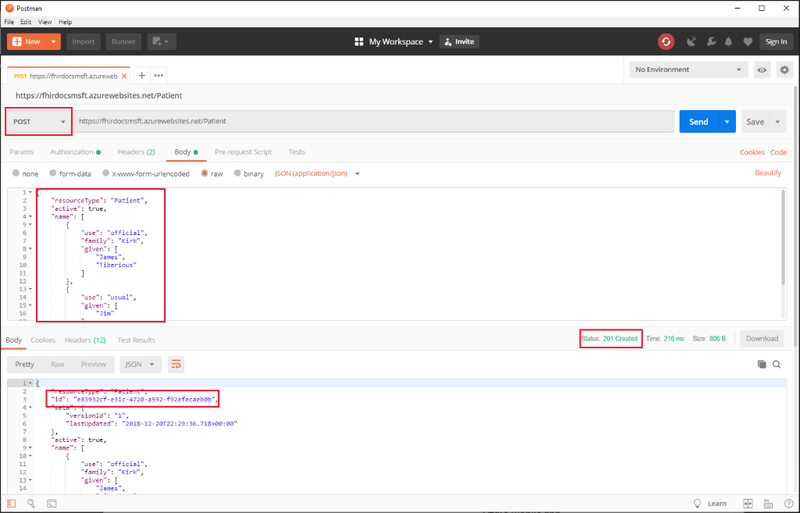 In this tutorial, we will walk through the steps needed to use Postman to access a FHIR server. 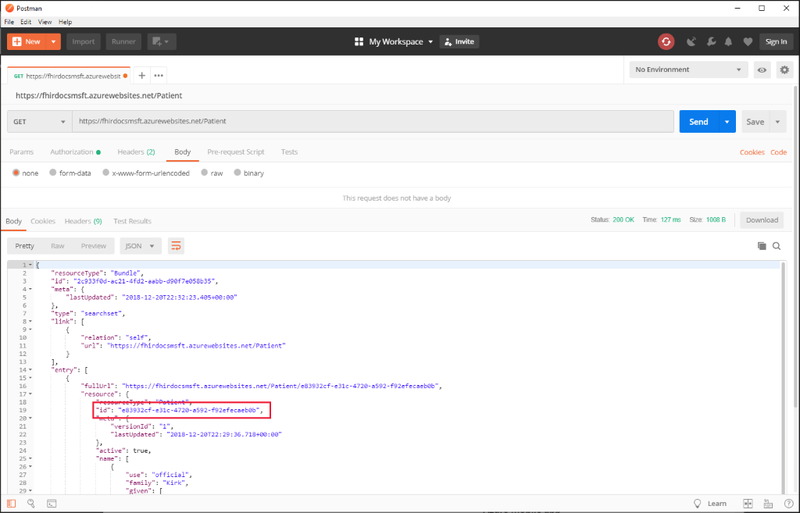 Postman is a tool often used for debugging when building applications that access APIs. A FHIR endpoint in Azure. You can set that up using the managed Azure API for FHIR or the Open Source FHIR server for Azure. 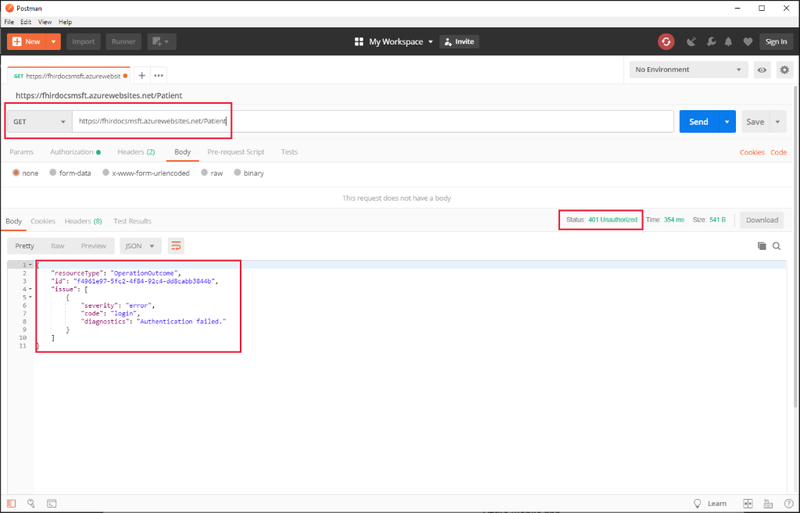 Set up the managed Azure API for FHIR using Azure portal, PowerShell, or Azure CLI. The configured audience. 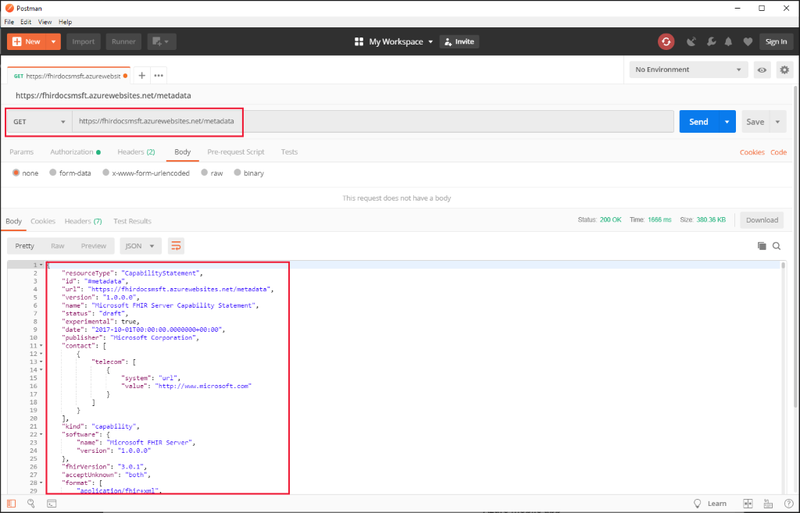 For Azure API for FHIR this is https://azurehealthcareapis.com and for the open source FHIR server for Azure, it would be set in the Azure AD resource application registration. The client_id (or application ID) of the client application you will be using to access the FHIR service. The client_secret (or application secret) of the client application. 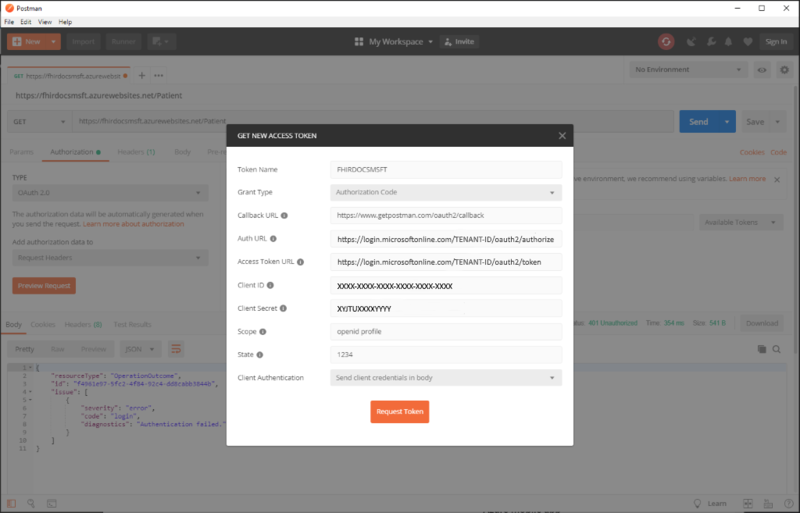 Finally, you should check that https://www.getpostman.com/oauth2/callback is a registered reply URL for your client application. In this example, the FHIR server URL is https://fhirdocsmsft.azurewebsites.net and the capability statement of the server is available at https://fhirdocsmsft.azurewebsites.net/metadata. That endpoint should be accessible without authentication. 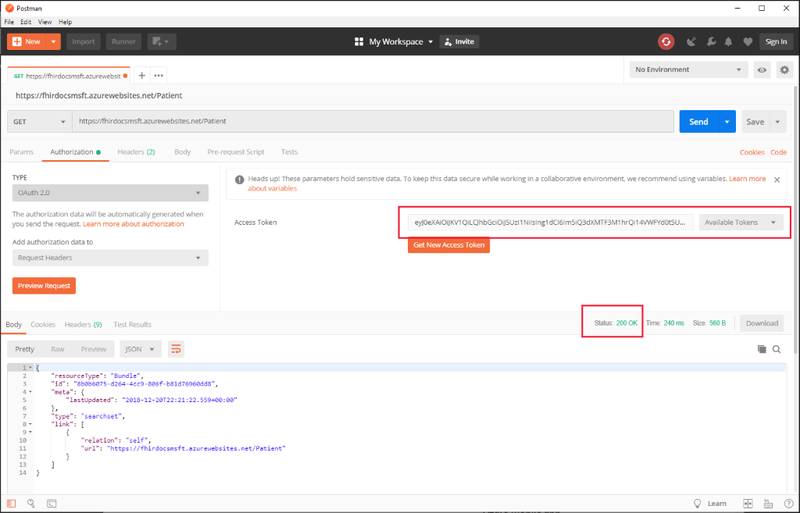 Hit "Request Token" and you will be guided through the Azure Active Directory Authentication flow and a token will be returned to Postman. If you run into problems open the Postman Console (from the "View->Show Postman Console" menu item). In this case, there are no patients in the database and the search is empty. In troubleshooting situations, validating that you have the correct audience (aud claim) is a good place to start. 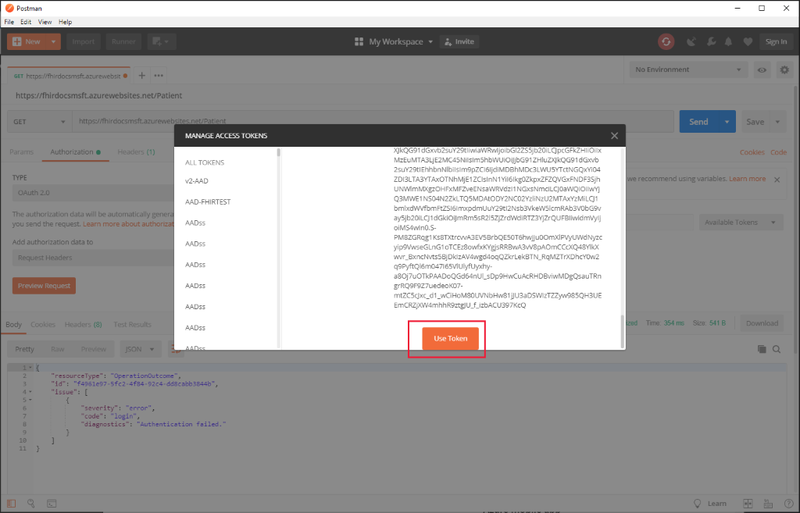 The managed Azure API for FHIR uses identity object IDs to restrict access to the service. Make sure that oid claim of the token contains an object ID from the list of allowed object IDs. It is also possible to get a token for the Azure API for FHIR using the Azure CLI. 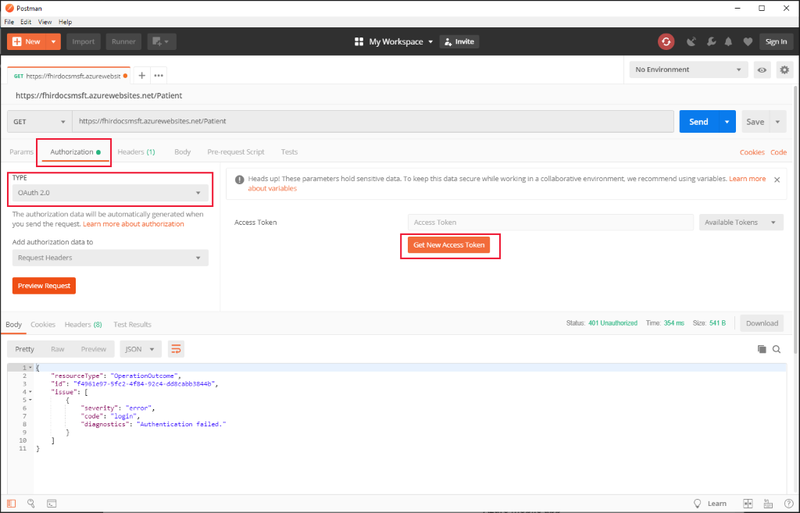 In this tutorial, you've accessed a FHIR API using postman. Read about the supported API features in Microsoft FHIR server for Azure.